The Outer Banks Community Foundation awarded more than $40,000 in grants yesterday to 15 local nonprofits. The grants will assist with a wide range of charitable needs, from volunteer fire departments to animal rescue, children and youth to violence prevention, outdoor education to food assistance for the needy. 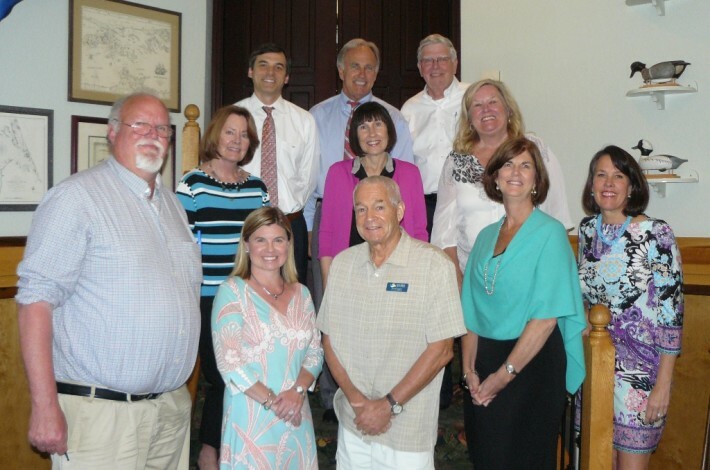 Outer Banks Hotline and the Children and Youth Partnership for Dare County each received grants through the Community Enrichment Program, which is the Community Foundation’s broadest grant-making program. Community Enrichment Funds are contributed from individuals, businesses, families, and other groups across the Outer Banks, mostly through our membership program. Children & Youth Partnership was awarded $26,500 for renovations for a new center at 534 Ananias Dare Street in Manteo. Formerly a group foster care home, the renovated space will become headquarters for the Partnership and a community center for children and youth programming. Outer Banks Hotline was awarded a $2,750 grant for new computers and a technology upgrade. Hotline works to mitigate and prevent domestic violence and sexual assault; last year Hotline provided direct services to over 350 individuals, in addition to 150 women and children who resided in their safe house. In addition, the Community Foundation also awarded grants from two donor-advised funds, which are funds managed on behalf of donors and families who recommend the grants that are awarded. The Kelly Family Fund awarded grants to Friends of Jockey’s Ridge, Mano al Hermano, and OBX Pride. The Kelly Family Fund was established in 1994 and has awarded over $250,000 in grants since that time. Kelly’s 22nd Annual Golf Tournament will be held on Monday, October 19 to raise money for the fund. The Dorothy Scott Townsend Fletcher Memorial Fund also awarded grants this quarter. Recipients included the Albemarle Commission’s Home-Delivered Meals Program, the Beach Food Pantry, Food for Thought, Holy Redeemer Catholic Church, Interfaith Community Outreach, the Kill Devil Hills Fire Department Auxiliary, the Kitty Hawk Volunteer Fire Department, the Outer Banks SPCA, the Southern Shores Volunteer Fire Department, and the Town of Southern Shores for the Flagpole and Tree Restoration Projects. The Dorothy Scott Townsend Fletcher Memorial Fund was established in 1998 by Mrs. Fletcher’s family in her memory and has awarded almost $100,000 in grants since its founding. The Community Foundation is currently accepting applications for its Community Enrichment Grants Program. The next application deadline (and the last deadline of the year) is Friday, October 30. Eligible projects must directly benefit all or a portion of the Community Foundation’s service area, which includes all of Dare County, and all Outer Banks communities, from Corolla to Ocracoke Island. In particular, the Community Foundation has funds available this grant cycle for health and wellness projects, arts programs, and organizations supporting individuals from Currituck County with disabilities. For more information, and to submit an application online, please visit www.obcf.org/grants.